That's all folks. We will meet again on Sunday when FC Pune City will host Delhi Dynamos FC at 1930 IST. Till then, take care and cheers! The Club Award is shared as the match ended in a draw. Mailson Alves gets the Limitless Player of the Match Award. The Winning Pass of the Match Award goes to Anirudh Thapa and Isaac Vanmalsawma receives the Emerging Player of the Match Award. Anirudh Thapa is the Hero of the Match as well. All over for the Miners! They entered into this encounter with great hopes but failed to deliver the goods. In both the halves, they were pretty ordinary in the attacking third and lacked the intensity going forward. 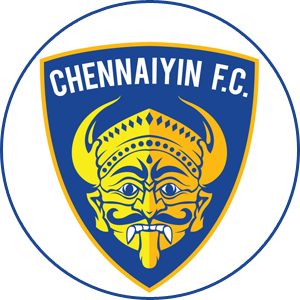 Chennaiyin FC, understandably, didn't have much to prove, so they were happy to sit back and attack on the counter. This has been the story for Jamshedpur FC in this season as their front-line appeared toothless in most games. The amount of draws they got in this edition tells us the story of their flavourless attacking game and it has eventually cost them big time. 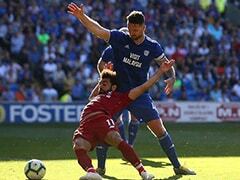 There was a massive moment in this match in the dying moments when Michael Soosairaj slotted one home but he was caught in an offside position. Apart from that, it was a pretty ordinary game from both sides and 0-0 comes across as a fair result. One team has gained from this result and it's NorthEast United FC who become the fourth team to qualify for the playoffs. The whistle is blown and this signals the end of the second half. This match ends as a draw. Three minutes of added time has been signalled. Is there any late miracle remaining in this game? A cross from Carlos Calvo from the right wing is headed behind by Mario Arques. The ball reaches to Michael Soosairaj on the far post to which he offers a touch with his stretched leg and scores one for his side. 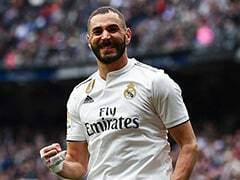 He is all pumped up and celebrates. The linesman does not agree with him though and signals an offside. Jamshedpur FC's joy short-lived. A massive moment in this match. Karan Amin is been represented with a yellow card. Thoi Singh with his lovely run in the opponent's half gets past Karan Amin who pulls him back. The referee is unhappy about this and books Amin. Carlos Calvo to take the free kick. He looks to cross it to a teammate in the box but hits it straight into Karanjit Singh's hands. Isaac Vanmalsawma receives a through ball along the left wing. He goes further deeper in the opponent's half, gets past the defender and crosses it to Germanpreet Singh who is waiting for the pass in the box. Germanpreet heads it goalwards but it's very wide from the target. Germanpreet Singh is been found pushing Sergio Cidoncha. The referee is not happy and stops the play. Mobashir Rahman is been called by the manager. 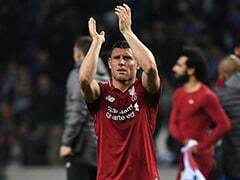 He will replace Jerry Mawhmingthanga on the pitch. Christopher Herd makes his way out as Germanpreet Singh comes in. Chennaiyin FC to introduce one more midfielder on the pitch. Augustin Fernandes pulls Jeje Lalpekhlua down along the left flank. The referee spots it and awards Chennaiyin FC the free kick. Michael Soosairaj attempts a cross in the box. Karanjit Singh jumps off his toes and catches it in the air. No damage is done. Thoi Singh replaces CK Vineeth on the field. Can they capitalize with this change? Dhanachandra Singh jumps on Anirudh Thapa's feet. The referee does not like it and shows him a yellow card. Farukh Choudhary makes his way out and Michael Soosairaj comes in. Jamshedpur FC to engage a pair of fresh legs in search of a goal. Sergio Cidoncha receives a pass along the right wing. He then dribbles past a defender, gets in the box and fires it goalwards. It's though saved by the keeper. Anirudh Thapa with his vision spots Jeje Lalpekhlua in the box and puts a through ball. The pass made to Jeje is so sharp that all he has to do is finish. But Jeje shoots it straight to the keeper and it's a routine save for Subrata Paul. Karan Amin with the ball falls back very deep in the opponent's half. He then crosses it into the box but Karanjit Singh clenches on to it. 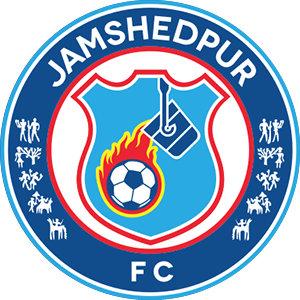 Jamshedpur FC know that they need to do something and that too as early as possible. Can they create something from here or will they fade off? Jerry Mawhmingthanga runs dangerously in the Chennaiyin half. He though fails to do anything significant with it. Jerry loses it cheaply to the opposition defence in the end. The referee blows the whistle and signals the start to the half. Jamshedpur FC to get us underway. A very crucial game for Jamshedpur FC, if they want to qualify for the playoffs but their body language looked very different. They built just a couple of chances in the first half. A shot from Sergio Cidoncha in the half was the closest they got. As for Chennaiyin FC, they also failed to create any clear-cut chances but still managed to add some pressure on the opposition keeper. Anyway, the onus is on the Miners to win this encounter and they have to come up with some better strategy in the next 45. Will they keep their season alive? Do join us in a short while to find out. The referee blows the whistle and brings an end to the first half. Laldinliana Renthlei is been presented a yellow card for a challenge on Mario Arques. One minute of added time is been signalled. Dhanachandra Singh tackles Laldinliana Renthlei in the challenge. Dhanachandra though is late in the challenge and ends up bringing down Laldinliana. The referee is not happy and awards Chennaiyin FC the free kick. Tondonba Singh tries to get inside the Jamshedpur's defence. He though is dispossessed by Memo and the ball is cleared off the harm's way. Farukh Choudhary wins the ball in the Chennaiyin FC's defense from Eli Sabia. Farukh then passes it behind to Sergio Cidoncha who hits it off with a volley on goal. Karanjit Singh first punches it and then gets hold of it in the second attempt. Sergio Cidoncha puts a delightful ball in for Mario Arques in the box. Mario heads it back towards the bottom corner. Karanjit Singh with his quick reflex movement saves it by diving the right way. Both the teams are looking quite relaxed. Only a couple of chances from both the sides but that didn't trouble the keepers. Will we get to witness a goal before the first half ends? Jeje Lalpekhlua puts in a ball for CK Vineeth in the box. Vineeth paces in and takes a shot goalwards. It is a comfortable save for Subrata Paul. A routine save. 20 minutes have passed in this crucial game for Jamshedpur FC. Still no shot on target. Are visitors having some late minute's plans? Carlos Calvo to take the corner from the left. The Spaniard though gives it too much power and the ball goes out straightaway. His manager is upset about it, expected more off him. Raphael Augusto crosses in the box from the left flank. Tiri though clears it out from the box rising high in the air and clearing the ball with a volley. Isaac Vanmalsawma takes the corner. He puts in a curler in the box at the far post. It was though cleared off by Dhanachandra Singh away from harm's way. Anirudh Thapa is pulled down by Sergio Cidoncha. The referee blows his whistle and stops the play. Chennaiyin FC get a free kick. Christopher Herd puts a bad challenge on Tiri in the midfield. The referee points out a Jamshedpur FC free kick. Raphael Augusto runs with the ball from the right flank and pushes a pass to CK Vineeth in the box. It was though cleared off by Jamshedpur FC's defender. Chennaiyin FC get us underway for the start of the first half by passing the ball behind. Jamshedpur FC win the toss and have decided to attack from right to left in the first half. The players make their way out for the Indian National Anthem. Kick off is not far away now! Subrata Paul (GK), Tiri (C), Mario Arques, Jerry Mawhmingthanga, Farukh Choudhary, Carlos Calvo, Sergio Cidoncha, Memo, Dhanachandra Singh, Karan Amin, Augustin Fernandes. Karanjit Singh (GK), Tondonba Singh, Jeje Lalpekhlua, Eli Sabia, Anirudh Thapa, Raphael Augusto, Isaac Vanmalsawma, Laldinliana Renthlei, Mailson Alves (C), Christopher Herd, CK Vineeth. Survival test for Jamshedpur in Chennai! Welcome to match 84 of this edition's ISL as Chennaiyin FC welcome Jamshedpur FC. 3 teams have booked their place for the playoffs, only one place remains and 2 teams are battling out for it. One of them plays tonight, Jamshedpur FC. They are on 23 points and have two games remaining. They travel to Chennai knowing nothing but a win will do for them. Jamshedpur FC will look to avoid the deja-vu of last season where they failed to qualify for the last 4 stages after losing their final two games. They don't come into this one with great form and have won only 1 of their last 4 games. Coming to the visitors, this has been one of their worst seasons and if they lose here they will definitely finish in the last spot. And for the first time, a defending champion will finish bottom of the league table. Chennaiyin FC's defense has been leaky and have conceded the most number of goals so far, 31. Considering H2H, this match-up has been an evenly poised one with both teams winning a game apiece and drawing the other one. Chennaiyin FC will look to be party-poopers for the visitors. Will tonight be the end of Jamshedpur FC's season or will they live to see another day? Join us in a bit to find out as action is not far away.